Two large ergonomic gaming mice with great shapes. 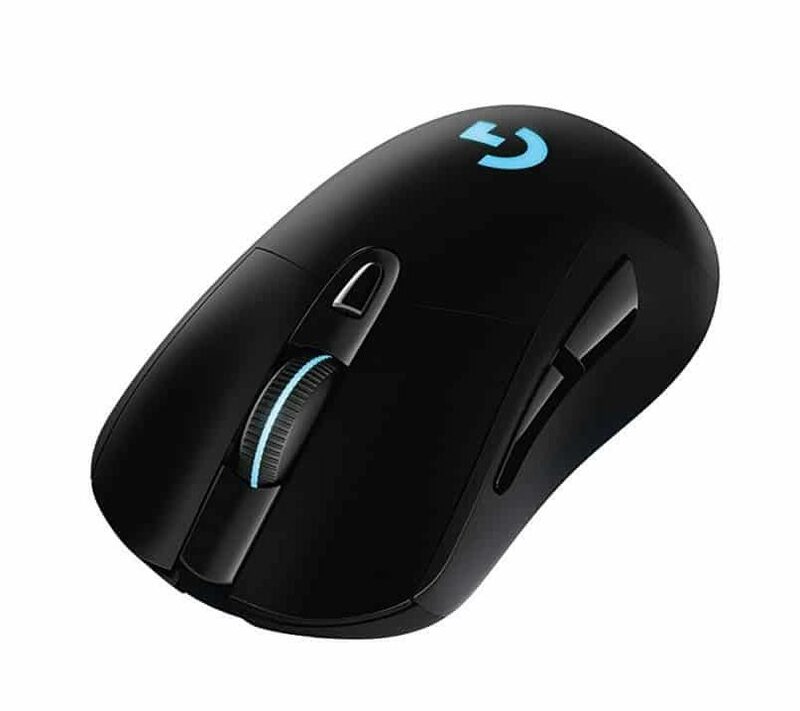 Despite being similar in dimensions, the G703 is much more suited towards a palm grip with its slope towards the front and the hump being right in the middle of the hand. The DeathAdder has a slightly more versatile shape for grips. Neither mouse is a slouch in this department. The sensors are a wash, both pack in perfect sensors. The G703 buttons are much better than the Razer DeathAdder and more suited for a variety of games, the depth and travel of the DeathAdder can get fatiguing in certain games. The most obvious differentiation is wireless for the G703, the DeathAdder has a nice soft cable but the G703's wireless obviously makes it a lot better for handing considering they're the same size and weight. Price wise the G703 costs more but I'd argue the G703 is worth the premium over the DeathAdder.